The purpose of security analytics is to detect attacks as fast as possible, enable IT professionals to block or stop an attack and provide detailed information to reconstruct an attack. They do this by collecting, correlating and analyzing a wide range of data. 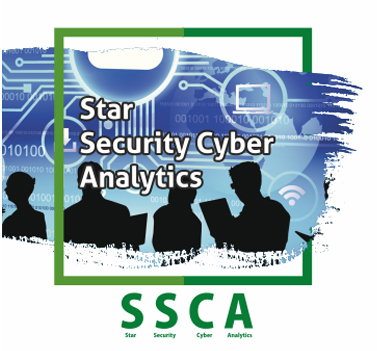 By using Security analytics tools organizations implement real-time monitoring of servers, endpoints and network traffic, consolidate and coordinate diverse event data from application and network logs, and perform forensic analysis to better understand attack methods and system vulnerabilities. Taken together, these functions help security professionals assess how systems were compromised, which systems were affected and if an attack is still underway. Network Operation Center (NOC), Security Operational Center (SOC), Research Development Center, System/Data Security officer, Space research Center, System security/ Data security Officer, Scientist, Big data analytics expert, intelligent bureau, Cyber Detective, Government defense cyber security department, Reserve bank Cyber security department. Analyzing Security and Associated Risks. Analyzing the vulnerabilities in systems, networks and devices. Identify vulnerabilities and analyzing the same to prevent future threats and attacks. 1. Introduction to Cyber Security Analytics. 3. Exploring Security Appliances and their Implementation. 5. Managing Vulnerabilities in your systems/Networks. 7. Identifying the Common Vulnerabilities of Networks and Systems. 9. Investigative Tools and Procedures. 12. Exploring the Security Design Principles and Concepts. 13. Identify and Access Management. 15. Dos and Donuts Software security.